Although I’ve already professed my admiration for a certain Naked Chef, there’s another British man–well, it’s actually a group of men–that are absolutely killing it online. Old classmates and friends, Jamie, Ben, Barry, and Mike launched SORTEDfood in 2009 to help fellow millennials kick their takeaway/takeout habit and learn how to cook delicious and original dishes. You can watch the guys cook on their YouTube channel and their website, as well as follow them on Instagram and Twitter (I must warn you not to look at their accounts when hungry.). They also have an app that allows members of the SORTEDfood community to post pictures of things they’ve cooked as well as post original recipes of their own. 1. Beat the softened butter and sugar for the vanilla cookies together until pale and fluffy. Crack in the egg yolks and vanilla extract, beating together. Fold in the flour and milk until fully combined. 2. Take just under half of the cookie dough out of the bowl and leave to one side. Fold in the matcha and additional milk to the dough left in the mixing bowl. Take the dough out and set aside. 3. Place the other (smaller) piece of dough in the bowl and beat the additional butter, milk and cocoa powder into it. Combine to make sure it’s all evenly chocolate-y. 4. 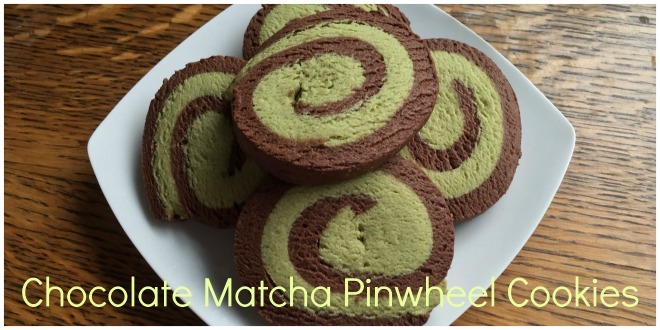 Roll both the matcha and chocolate cookie dough out between separate sheets of baking paper to the thickness of about 1/2cm and appoximately 12.5 x 9.5″ in size. Lay the chocolate sheet on top of the matcha one, peel back the paper and them roll the two dough together like a Swiss roll, keeping it tight, making sure no paper is trapped inside. Chill in the fridge, wrapped in plastic wrap, for an hour or so to set up. 4. Preheat an oven to 325ºF (170ºC). Slice the cookies into discs 1cm thick, then lay on a lined baking tray and bake for 15 minutes. Allow to cool some before enjoying!